One of the Scotch whisky industry’s most respected figures will bring a touch of Hollywood glamour to Spirit of Speyside Whisky Festival when it gets underway next week. Charlie MacLean, who had a starring role in the hit movie The Angels’ Share, will officially declare the festival open on Thursday, May 1. He will launch the 2014 festival, which comprises over 370 events and includes the brand new music festival the Spirit of Speyside Sessions, at the Touch of Tartan opening dinner at Glen Grant Distillery in Rothes. But those who have not been lucky enough to get their hands on one of the tickets for the sold-out dinner will have other opportunities to meet him at three other events during the five-day festival. Charlie says, “Speyside has a special place in every malt whisky lover’s heart – and mine in particular: it was at The Glenlivet Distillery that I first tasted single malt whisky, in the late1960s. “How things have changed since then! Not least the Spirit of Speyside Whisky Festival, which has grown from a small local event into a must for whisky lovers from all over the world: an occasion with international status. “Apart from the huge number of events that pack the five days – which make it seem more like five weeks – the best thing about the festival is meeting old friends and making new ones, sharing our passion for whisky, comparing thoughts on individual malts. Charlie is a renowned whisky writer of 30 years and is a founding editor of Whisky Magazine, but it is his role in The Angels’ Share that brought him into the mainstream. He was originally appointed to advise on whisky matters, but his knowledge impressed director Ken Loach so much that he was offered a starring role. He took the production team, including Loach, to experience a whisky sale first hand and invited them to an auction at Bonhams. It was at that point that he was offered the role of whisky expert Rory McAllister – a character pivotal to the film. The Angels’ Share, which was released in 2012, went on to win the Jury Prize at the Cannes Film Festival later that year. In addition to launching the festival, Charlie will be taking part in the Whisky Mountain event, introducing festival goers to his favourite drams from the distilleries that can be seen from the top of Ben Rinnes – one of the highest points in Speyside. All of the malts featured at the event on May 4 are from distilleries on the toposcope at the summit, which was erected to mark the tenth anniversary of the festival. 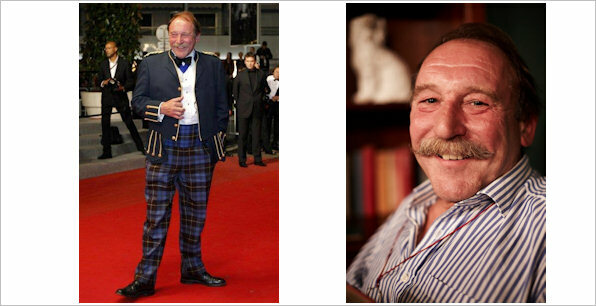 He will be at the Drouthy Cobbler – a bar in Elgin town centre – on May 2 where he will be talking about his career in whisky, and on May 3 he will return to The Glenlivet – the distillery which sparked his interest in Scotch malt whisky. During the session he will be reminiscing about his encounters with The Glenlivet and will host a tasting of a series of drams, many of which are rare or cask strength and unavailable elsewhere. One will be The Glenlivet Auchbreck – a special limited edition bottled for the 2014 Spirit of Speyside Whisky Festival. Ann Miller is a director of the festival and a long-time friend of Charlie. She says, “We are delighted to be able to welcome Charlie back to Speyside and to the place where his passion for whisky was ignited. 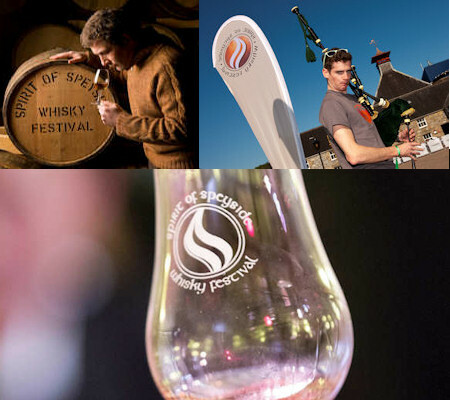 The Spirit of Speyside Whisky Festival, which is now in its 15th year, takes place at venues across the region and boasts a programme of over 370 events. A signature event for Homecoming 2014, it will start Whisky Month – a four week national celebration of Scotland’s world class food and drink.